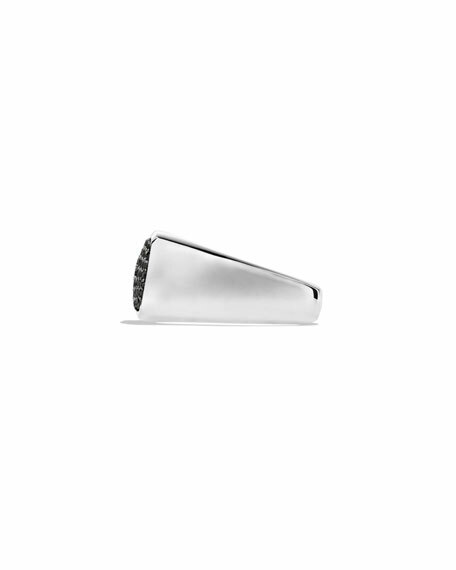 David Yurman men's sterling silver signet ring. 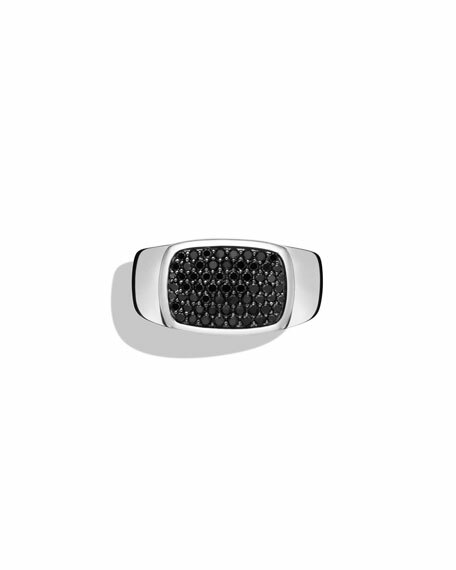 East-west rectangular face with black diamond pavé. 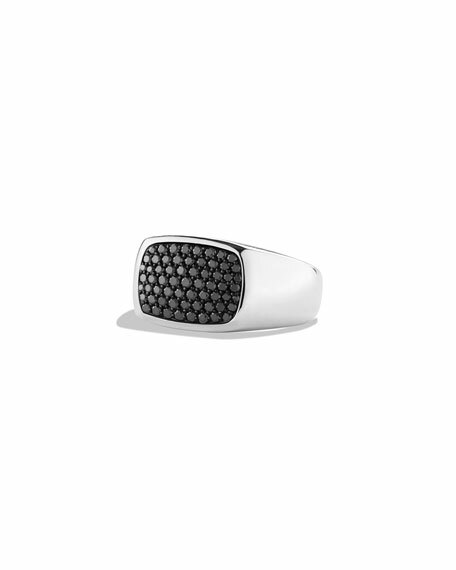 David Yurman men's ring from the Beveled Collection. 18-karat white gold with pavé black diamond edges. 0.67 total diamond carat weight. Approx. 6mm wide. Imported. David Yurman men's band ring from the Cable Classics Collection. Signature sterling silver band with center cable inset. Approx. 8mm wide.